Glasses.com Review: Legit or Scam? So apparently nowadays you don't even need to leave your house to buy prescription eyeglasses. Because of the magic of the internet, you can order them online. Glasses.com claims to be able to help you do just that. So it's probably why you’re going through a couple of glasses.com reviews to know whether it is safe or a scam. Well, if you want the truth, read the review below. We'll tell you all you need to know about the company including the good, the bad and the ugly. So, let’s get into it, shall we? Glasses.com is an online retailer of designer eyewear including prescription and non-prescription eyeglasses and sunglasses. According to Wikipedia, Glasses.com is a distributor for the biggest name in the eyewear industry Luxottica Group S.P.A; the Italian company behind Ray-Ban, Persol, Oakley among other popular brands. The website itself is owned by entrepreneur Doug Harris and is currently headquartered at 66 E Wadsworth Park Dr, Draper, UT 84020-7942. What Types Of Glasses Does Glasses.com Sell? As a distributor for Luxottica Group, they claim that they sell prescription, non-prescription eyeglasses and sunglasses from popular brands like Ray-Ban, Armani Exchange, Oakley, Vogue, Burberry – you name it. You can view all the brands here. If you’re out for prescription lenses, they have single vision, progressive and readers’ lenses for men, women and kids. The frames are just the usual oval, round, oblong, square and heart. You can use the filter to specify what you want, sorting your options by brand, frame shape, color, gender and size. They claim that all lenses offer scratch-resistance, and UV protection They also throw other features like anti-glare, high index, polycarbonate and impact resistance. How Does The Virtual Try-On Work? Apparently Glasses.com has a virtual try-on app you can use to see how frames look on you in 3D. All you need to do is download this iOS app, create an account and it will show you how to get a 3D image of your face. You’ll then log in to your Glasses.com account and start checking out the frames using the image on your app. At the time of this review, it doesn't seems like they have an Android version of the app. How Do I Buy Prescription Glasses from Glasses.com? Unlike Warby Parker where they help you come up with a prescription onsite, Glasses.com requires you to have your most recent prescription with you from an eye doctor. You’ll then fill out their prescription web form and they’ll give you the right lenses for you. However, they say they can hook you up with a $50 eye exam by emailing them on info@glasses.com or calling 1-800 GLASSES. Where Can I Buy Glasses.com Glasses? You can buy Glasses.com glasses off their website. You can also get these designer brands on Amazon.com where they’re actually cheaper with all sorts of deals and offers going on. 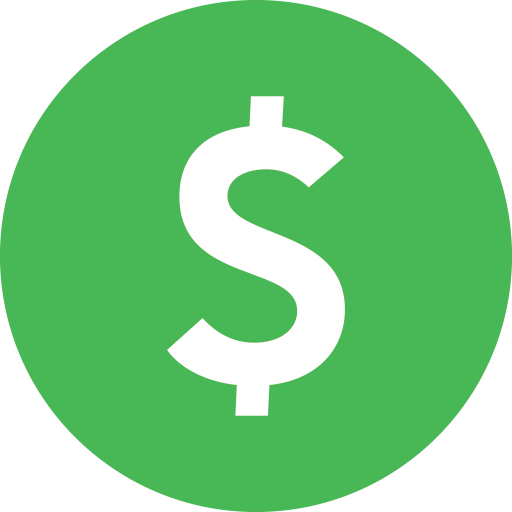 But if you really want to save money buying things online, you may want to consider a site like EBates.com where you earn cash back and they have tons of coupons you can use. SwagBucks.com is another great place to start. They allow you to earn free gift cards and cash for things you already do online. You can use the cash or gift cards to save on Glasses.com or any store you shop at online or offline. How Much Do Glasses.com Glasses Cost? You’ll hardly find glasses under $90 on the website. Most brands including Ray-Ban, Michael Kors, Prada, Versace, Ralph Lauren and the like fall within the $100-$200 range. But the really fancy designs cost upwards of $300. On the other hand, a random search by my research team revealed you can easily get most of these brands on Amazon.com for as low as $50. So that’s definitely something worth checking out. Standard shipping is free while 2-3 business day expedited shipping will cost you $9.99 and 1-2 day rush costs $14.99. They say they don’t ship internationally. That’s after a 4-day wait for prescription verification and processing. It’s probably faster on Amazon if you’re a Prime Member with the FREE Guaranteed 1-2 Day Amazon Prime Delivery. They say you have 30 days to make a return for free. All you have to do is call or email customer service. They also say they’ll give you a full refund if you don’t wish to exchange. Again, all purchases come with a full year warranty against manufacturing defects. Accidental breakages and normal wear and tear are on you amigo. You can reach out to customer service on 1-800 GLASSES (1-800-7737) or email via info@glassees.com for any issue including prescription help, returns, shipping problems and what not. You can also hit them up via LiveChat on the website. So far the coast looks all clear. But there are a few red flags about Glasses.com we thought you should know about. Waiting for glasses from glasses.com is like watching paint dry, or watching grass grow – whichever is slower. Apparently some customers had to wait for months to get their order. That's even after paying for faster shipping. At the time of this review their Better Business Bureau is a D-. So that may be a deal breaker to those of you who rely on a company’s BBB status. I wouldn’t blame you if you tried out other options. Well, there’s EyeBuyDirect and Warby Parker and Frames Direct who also sell designer frames. You can read our Warby Parker review here and EyeBuyDirect review here. Should You Buy From Glasses.com Or Not? Glasses.com is a popular go-to store for designer frames and sunglasses. It’s reassuring that you have 30 days to ask for a refund, no questions asked unlike some other online eyeglasses companies. But orders apparently orders get lost way too often, even after paying for faster shipping. But you can always get the same designer brands on Amazon.com where you don’t have to pay a dime for faster shipping when you use their FREE Guaranteed 1-2 Day Amazon Prime Delivery. Pretty sweet, right? All the same, if you like what you've read about Glasses.com, you might be able to get better deals on them via Amazon.com especially if you’re a Prime Member. You can also earn free gift cards and coupons on sites like SwagBucks.com that you can use to shop for discount designer eyeglasses doing what you already do online like watching videos, reading emails, visiting websites, playing games and more. A site like EBates.com also gives you the chance to save money while shopping for online glasses. So you have many ways to get the best prices on Glasses.com eyeglasses. Hopefully you can now decide whether Glasses.com is worth your time. We would also love to hear what you think. Feel free to leave us your thoughts on the comments section below. You can also check out their FAQs page here if you still have questions about the company. 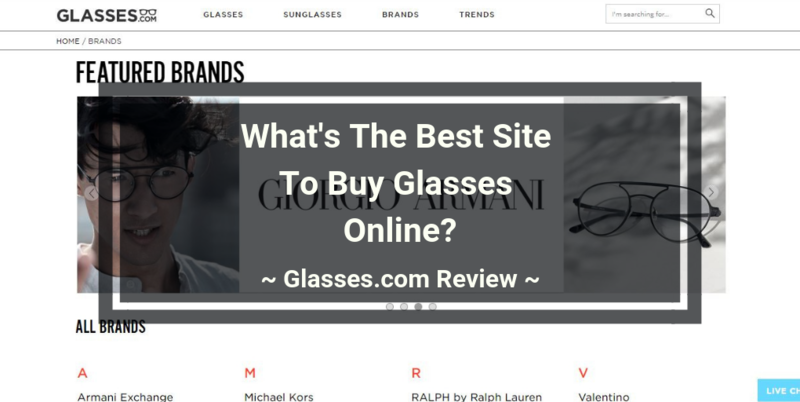 Glasses.com is a pretty huge name in the designer eyewear industry. But if what customers are saying about the company is anything to go by, you may want to read our Glasses.com review before buying from them.